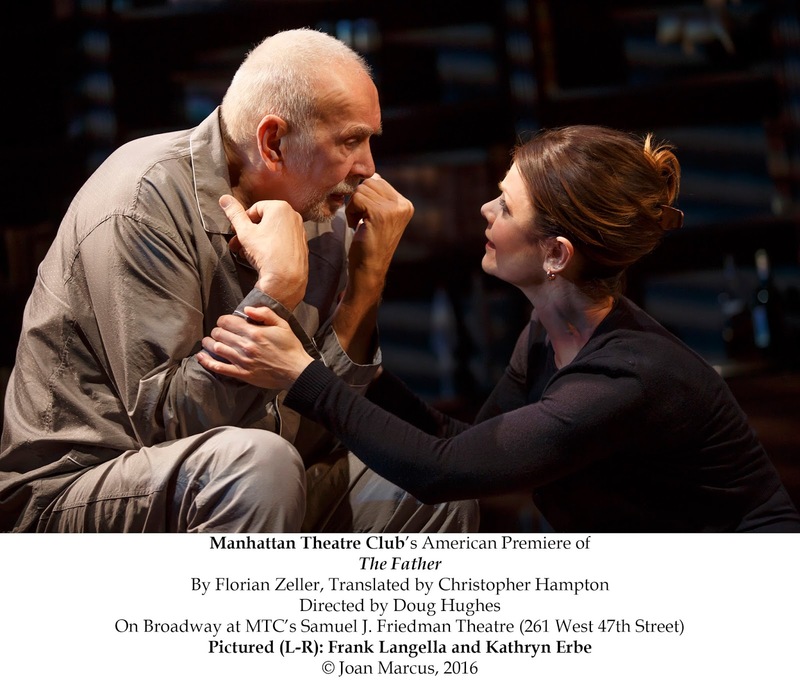 This ingeniously written play about a man’s descent into dementia provides Frank Langella with a superb career capping showcase. By turns, volcanic, charmingly ingratiating, insulting, confused, and ultimately, helpless, he really doesn’t make a false move. The award-winning play (the Moliere in France) -- from acclaimed French playwright Florian Zeller -- already won an Olivier Award for its London star, Kenneth Cranham, in Christopher Hampton’s adaptation, and could well bring similar honors to Langella come award time. The setting is Paris. Langella is Andre, seemingly a once powerful engineer, now in the accelerating stages of the diseases. In the opening scene, we see his caregiver daughter Anne (Kathryn Erbe) discussing an imminent move to London to be with the man she loves, and she wonders whether he’ll be alright with merely weekend visits. But wait; the next time we see Anne, she’s played by another actress (Kathleen McKenny), and it seems she’s not moving to London at all, but is married to a man named Pierre (Charles Borland). Or is she? What Zeller has done is give us the action of the play as seen from Andre’s perspective, and throughout the course of the play, we can never quite be sure what’s real, and what’s in Andre’s head. 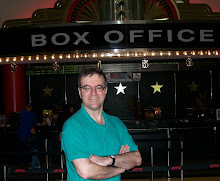 For in the next scene with Pierre, he’s now played by Brian Avers. And Anne is again Erbe, but is she going to London? It would appear not. Though it’s a veritable case of apples and oranges, this dramatization of what it truly feels like to be in the throes of dementia makes an interesting comparison with the method employed by Coleman Domingo in his excellent recent play on the subject, “Dot,” to make the audience know how dementia must feel. In that play (really more of a domestic comedy with serious overtones), we were given a demonstration of a virtual dementia game. Scott Pask’s set (appropriately lighted by Donald Holder) -- and, like the cast, ever changing in Andre’s mind -- paints a brilliant visual picture of Andre’s disorientation. Catherine Zuber’s costumes bear her usual character-perfect stamp. 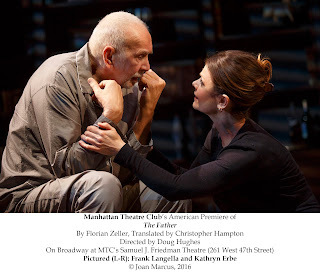 The subject matter is grim (and there is even one moment of shocking violence, though we’re not sure if it’s real or imagined), but the play is not without humor, and Langella’s dynamism at all stages is as compelling as ever. Erbe is effortlessly sympathetic as the true Anne (at least I think she’s meant to be the true Anne), and Avers and Borland double compellingly as Pierre who may or may not be Anne’s less-than-compassionate husband. McKenny morphs convincingly through multiple roles, and there’s good work from Hannah Cabell as a somewhat patronizing caregiver. The play’s numerous short scenes are superbly directed by Doug Hughes who captures the rhythm of Zeller’s musicianly pacing with great sensitivity.